As you can see from the photos, these are handmade as the cutting is not perfectly cut. All of my wooden earrings are cut with either a bandsaw or powered scroll saw, all shaping is done with a Foredom Powered Carving burrs or by hand powered files. 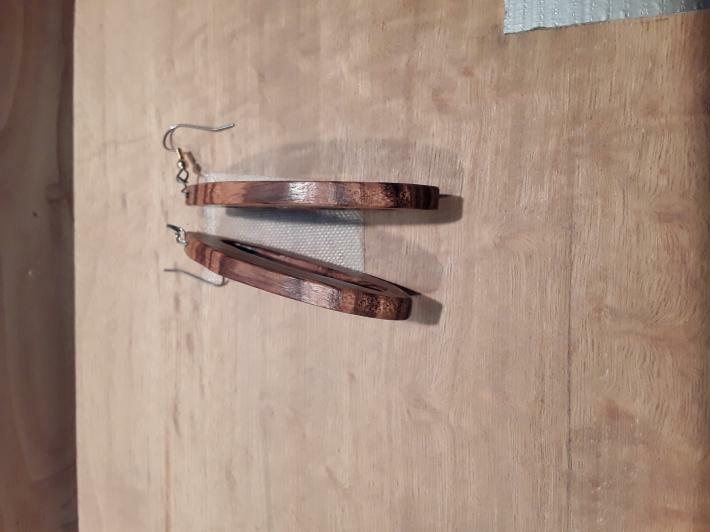 All wooden earrings are sanded from 150 grit to 600 grit while using a lighted magnifying glass to verify sanding marks are all removed, before going to the next grade of sand paper. All dust is removed via air compressor, before Watco Danish Oil is applied. And buffed with 3 wheel Beal buffing system. 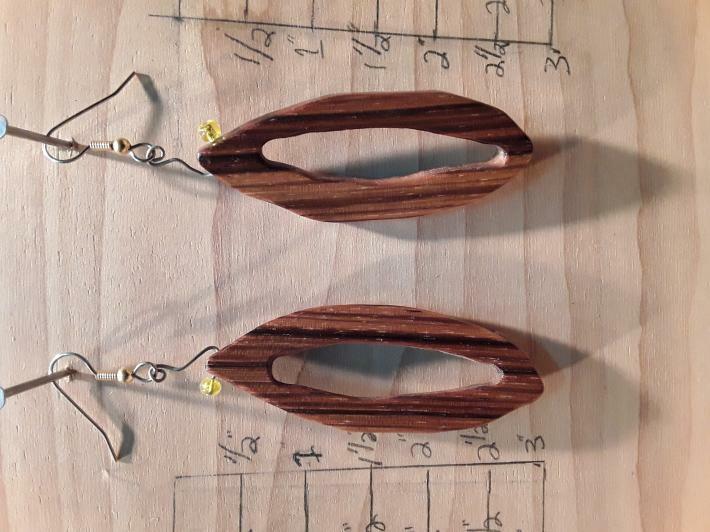 Ear wires are all Nickel Free with rubber backers.